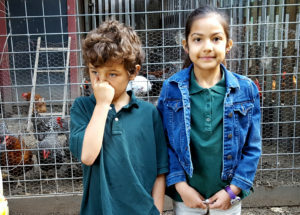 The kids of Sunflower Sentry Garden have decided to expand their chicken family of hens by incubating and raising baby chicks in the classroom. In addition to their life-cycle studies, the students will learn about the genetics of their chicks and see if they can determine their breed and heritage. Each step will documented here in the garden journal. 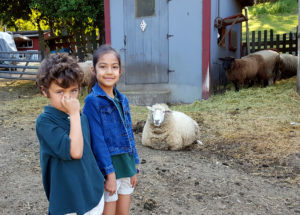 Early Tuesday morning, I piled two student ambassadors from Anne Siskin’s third-grade class into my yellow Jeep and set off for the local egg ranch to purchase eight fertilized eggs. 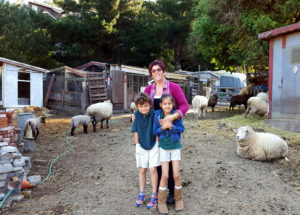 The rancher showed them the four main coops with different breeds of hens and roosters and introduced them to a beautiful turkey hen, a two-week old pigmy goat and his mama and lots of sheep. They also saw a lama but learned it wasn’t social and took its job of protecting the sheep from coyotes very seriously. The hens and roosters are gorgeous with all their amazing features–but–they smell really bad. 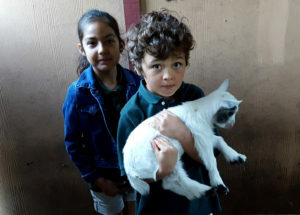 Meet the baby pygmy goat. He’s only two-weeks old. 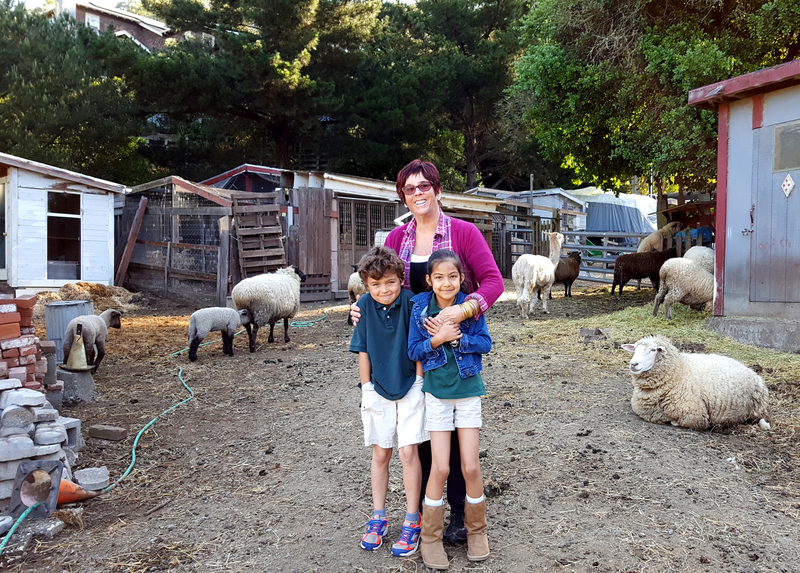 Group photo–Barbara and the kids. 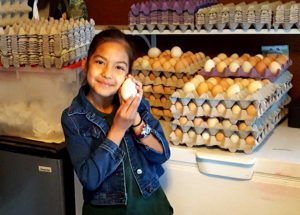 When taken to the ranch’s small store, their eyes grew big with all the packed eggs—over two-hundred from the day before. The rancher let them hold two large eggs from the turkey they had just met moments ago. Then she opened a carton with their eight fertilized eggs marked by coop so they could study the genetics as their chicks hatched. The kids were so excited and realized that these eggs were their future babies. They carried them very carefully to the Jeep and protected them for the ride back to school. 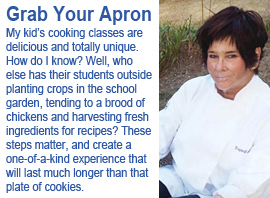 This was the beginning of a most exciting adventure in learning. 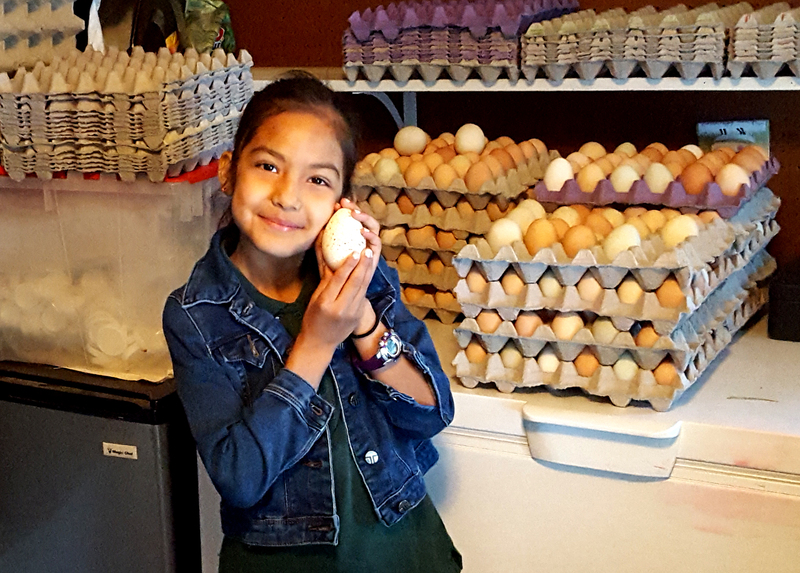 The third-graders were thrilled when their ambassadors arrived with the fertilized eggs. Now it was time to program and set-up the incubator—and place the eggs in it. Are you ready?–21 days to hatching! 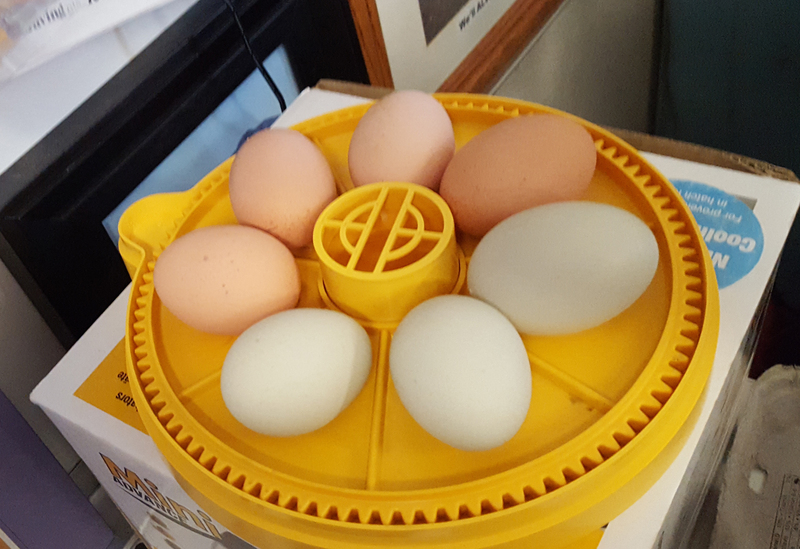 The incubator holds seven eggs so why did we get eight? Everyone thought that Goldie, the hen might sit on it and hatch herself a baby chick. Did she? Stay tuned.